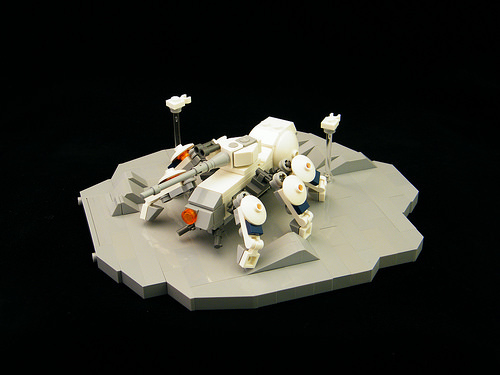 Nick Della Mora has built a chunky microscale walking tank straddling an irregular section of lunar landscape. The tank itself is a good bit of building, with hefty firepower and a suggestion of mechanical details around the leg joints — not easy to accomplish at this scale. But what sets this model apart is the classy presentation. The landscaping and choice of black background really make the image pop.